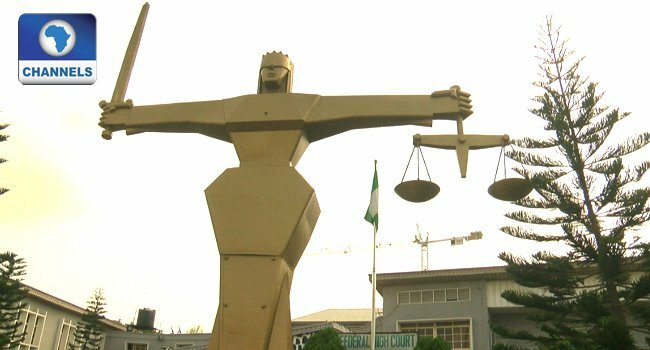 A Federal High Court sitting in Lagos has ordered a Senior Advocate of Nigeria, Mr Dele Belgore, and a former Minister of Planning, Professor Abubakar Sulaiman, to open their defence in a N450million alleged fraud suit slammed on them by the Economic and Financial Crimes Commission (EFCC). The judge gave the directive on Thursday while ruling on two separate applications for “no-case submission” filed by the two defendants who had argued that the EFCC had not successfully linked them to the offences for which they were charged. In his ruling, Justice Rilwan Aikawa, held that after a careful study of the prosecution’s case, he had formed an opinion that the defendants should enter their defence. “I have read the facts of the case at my disposal and I have formed an opinion that the first and second defendants have a case to answer. “In the circumstances, I, therefore, overrule the no-case submissions. It is hereby dismissed. The defendants should proceed to open their defence,” the judge ruled. After the ruling, Belgore’s lawyer, Seni Adio, drew the court’s attention to an application dated January 16, 2018, asking the EFCC to furnish him with the complete set of his client’s statements to the commission. He alleged that part of the statements written by Belgore was still with the EFCC, saying the production of the documents was vital to his client’s defence. In his response, the EFCC’s lawyer, Rotimi Oyedepo, denied holding on to any of Belgore’s statements. He, however, alleged that the application which his learned colleague claimed was just served on him in court was a ploy to prevent the defendants from opening their defence. Oyedepo stated, “All the statements volunteered by the first defendant has been tendered in this case; we cannot be tendering them in piecemeal. All the statements have equally been frontloaded to the defence. We don’t have anything to produce. Justice Aikawa consequently directed the EFCC to file a formal response to the defendants’ application while further hearing in the case was adjourned till April 30. The anti-graft agency had re-arraigned the defendants on November 28, 2017, before the court on an amended nine-count. In the amended charges, the EFCC alleged that a former Minister of Petroleum Resources, Mrs Diezani Alison-Madueke (said to be at large), conspired with Belgore and Sulaiman on or about March 27, 2015, to directly take possession of the sum of N450million, which they reasonably ought to have known forms part of proceeds of unlawful act. The trio were also alleged to have taken the said funds in cash, which exceeded the amount authorised by law without going through the financial institutions. Belgore, Sulaiman and Diezani were also alleged to have paid the sum of N50million to one, Sheriff Shagaya, without going through the banks. They were equally accused of paying the sum of N10million to one Dr Emmanuel Onucheyo, a Resident Electoral Commissioner with the Independent National Electoral Commission (INEC) in Kwara State, without going through any financial institution. The EFCC had further accused the trio of paying N10million to CP Garba Salihu, in violation of sections 1(a), 16 (d) of the Money Laundering (Prohibition) (Amendment) Act 2012 and punishable under Section 16 (2) (b) of the same Act. The defendants had, however, pleaded not guilty to the charges.